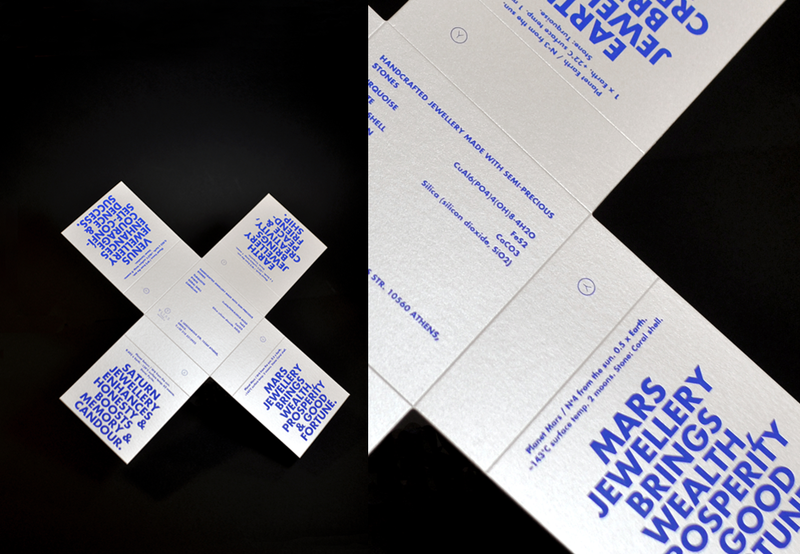 Ilias Y created four series of jewels inspired by the four planets: Venus, Earth, Mars and Saturn. 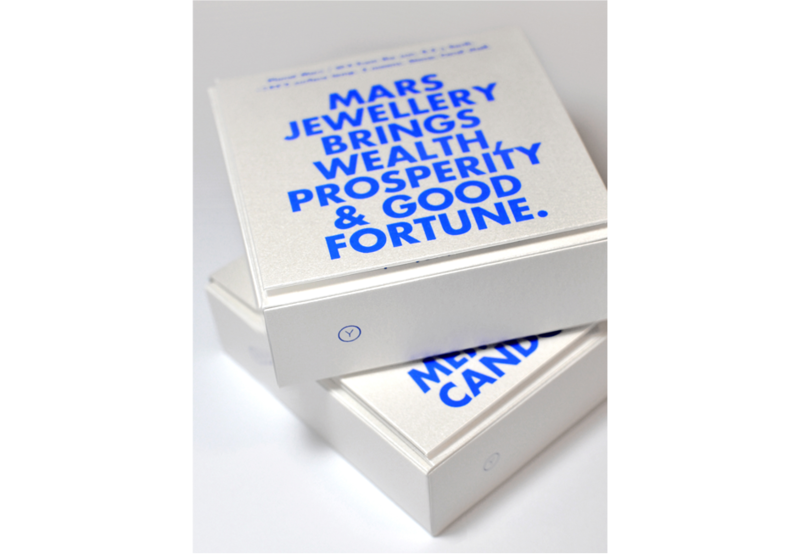 The client requested a flexible packaging system to reduce cost. 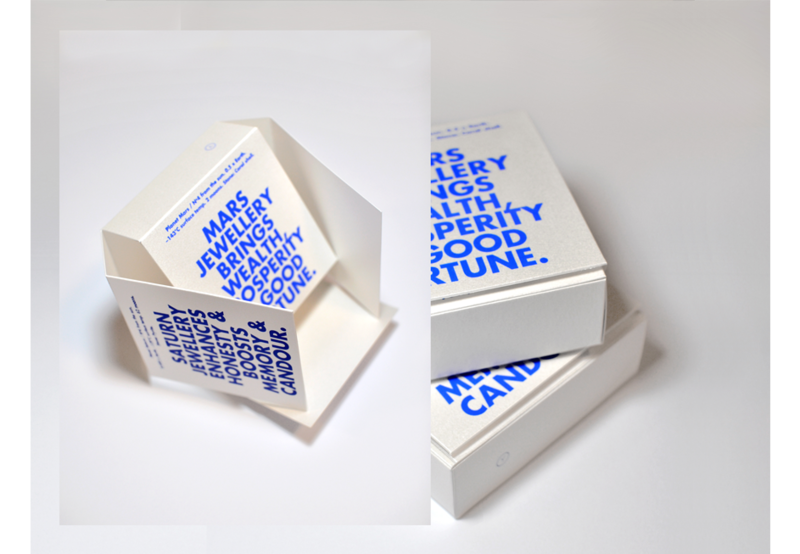 We came up with a simple cross- shaped piece of cardboard. 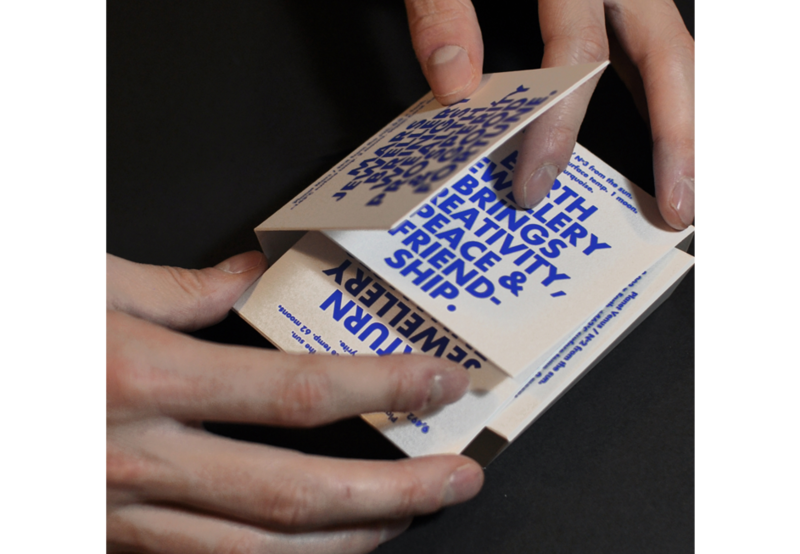 The card may be folded in 4 different ways to reveal a different side each time. 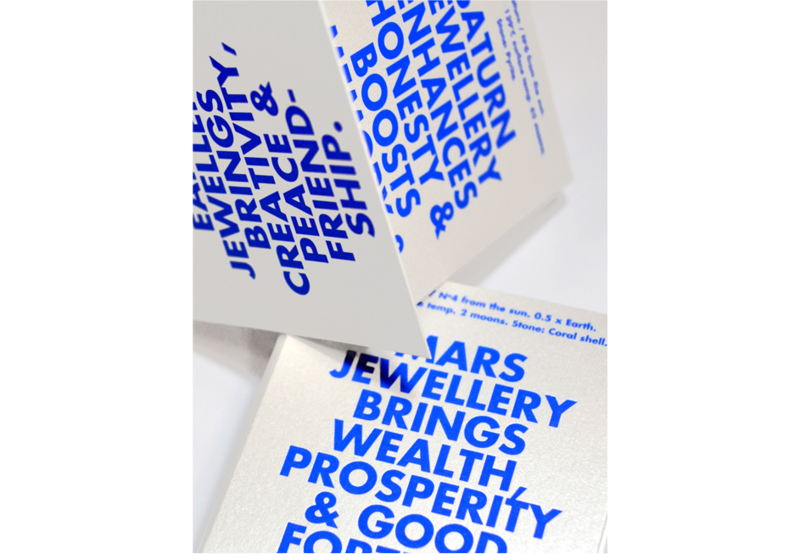 As the box is folded, only one side remains on top. 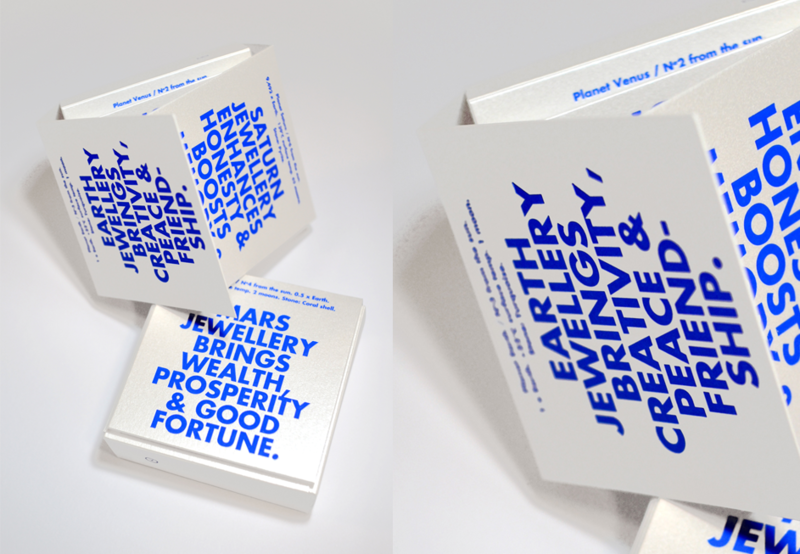 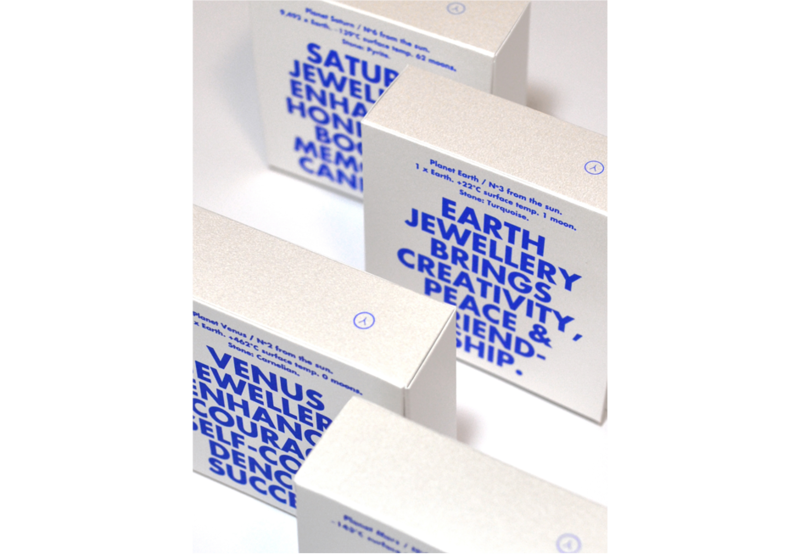 Simple typography labels the name of jewellery contained: Earth, Venus, Mars and Saturn.